There’s great Spring weather forecast for this weekend/week and here’s some ideas for spending your free time here in our ‘hood. If you live in or love Baysie why not help brighten King William Street by joining in the People Painting Pallets + Decks outside Howdy Coffee hosted by Future Bayswater. Sponsor Cabot’s is giving a painting demonstration at 12pm followed by pallet painting from 1 to 3pm and then, coffee! 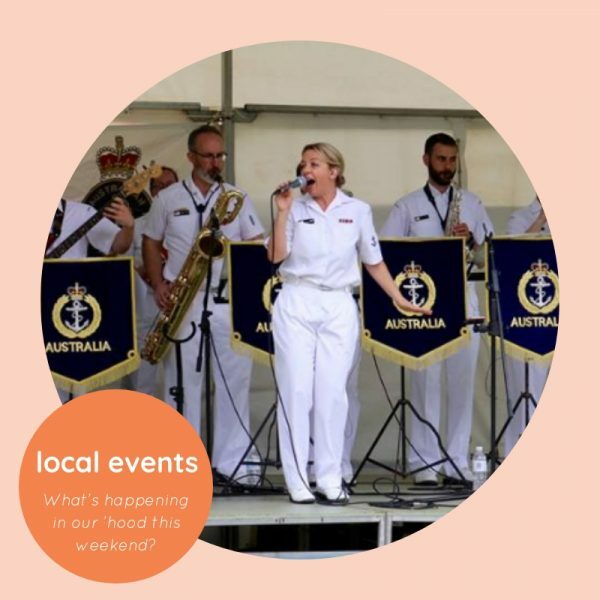 To mark World Prematurity Day the Royal Australian Navy Band is performing at the Tiny Sparks Family Fun Day from 10am to 2pm at Bardon Park in Maylands. Entry is free but you need to register to attend. All the details are on their FB event page. Love to dance? Then the RTRFM presents Many Styles all day/night dance party is for you! Held at Si Paradiso (formerly Late Night Valentine) in Highgate it starts at 3pm. Tickets available via their FB event page. And if you’re looking to spend time with the family or meet other people from the ‘hood then check out the Gaming Get-together XVI at the Bob Daniels Community Centre on Beaufort Street Inglewood (next to the library) which starts at 3pm and runs until late. Entry is free and it’s BYO snacks (or dinner) & refreshments with coffee & tea provided. As part of this years Pride celebrations Rabble Books & Games on Eighth Ave in Maylands is hosting Drag Queen Story Hour at 4pm. Perth performers Donna Kebab and Perri Oxide will read some of their favourite books and everyone is welcome, particularly young children. State Member for Perth John Carey is hosting his first John Carey’s Seniors Christmas Concert for all senior’s living in the Perth electorate at the North Perth Town Hall from 2pm to 4pm. The event is free to attend but an RSVP is essential – call 9227 8040 or email john.carey@mp.wa.gov.au. More details on their FB event page. And that’s a wrap for this week. Keep an eye out for next weeks special Christmas themed post about the local events and happenings in the lead up to Christmas 2018. Enjoy! Image from the Royal Australian Navy Band FB page.